The Smithsonian Institution holds more than 142 million artifacts and specimens in its trust. 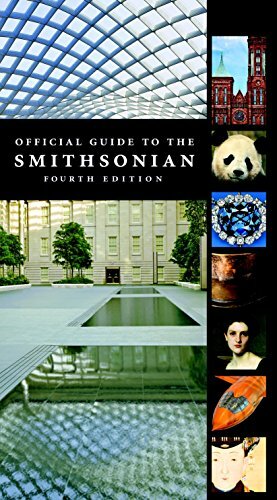 This colorful guide to the museums and galleries on the National Mall, in the Washington metropolitan area, and in New York City presents an enormous amount of history and pertinent museum information, ensuring a rewarding visit. Each detailed section presents the history of the museums and offers a fully illustrated, gallery-by-gallery tour. All the practical information�Clocation, hours, phone numbers, public transportation, services, tours, dining, gift shops, special attractions for children, web site addresses�Cis also included. With so much to see and do, this is the definitive source of all the information in one place.